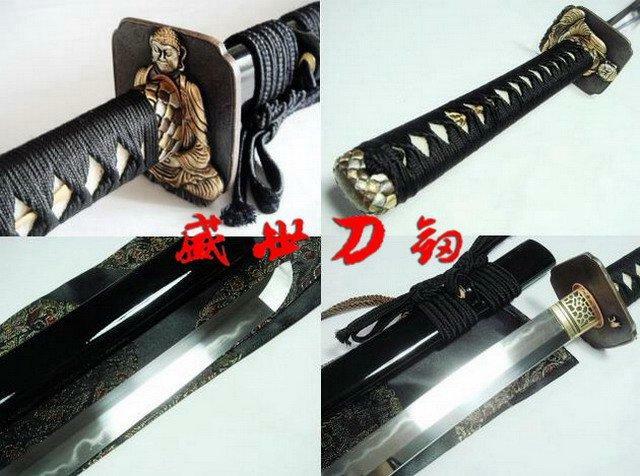 -kashira(cap) fuchi: black iron,plain design. 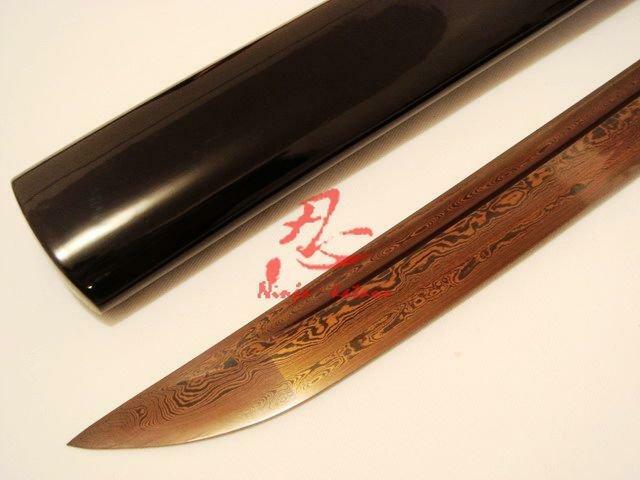 -Habaki: brass handwork and polished. 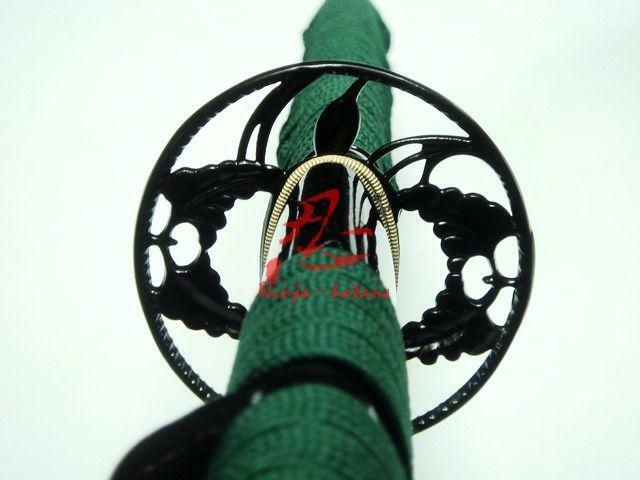 -Tsuba: iron. 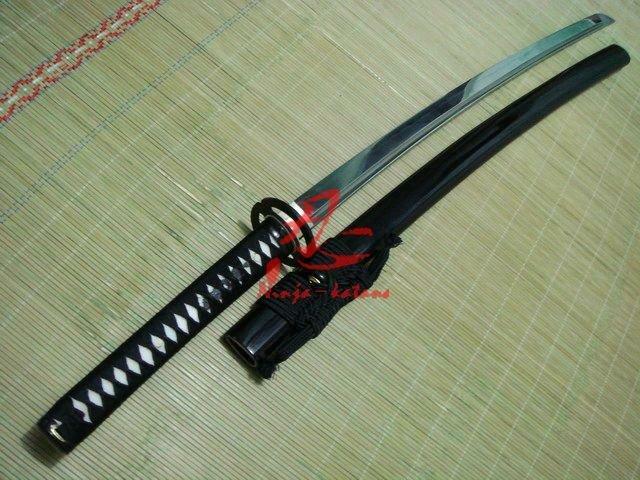 musashi shape . 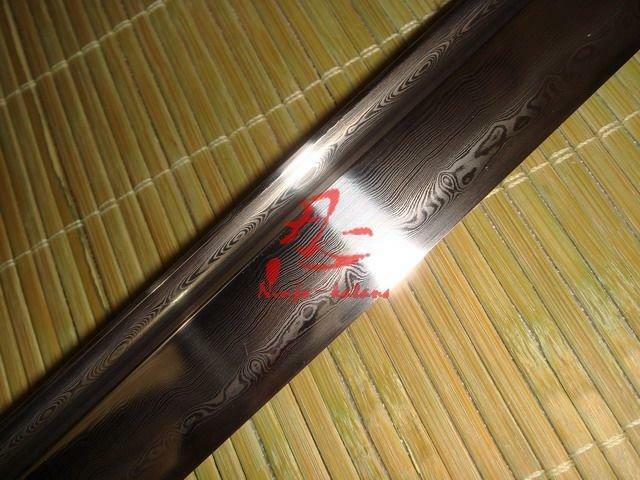 -Saya (Scabbard): selected hard wood . 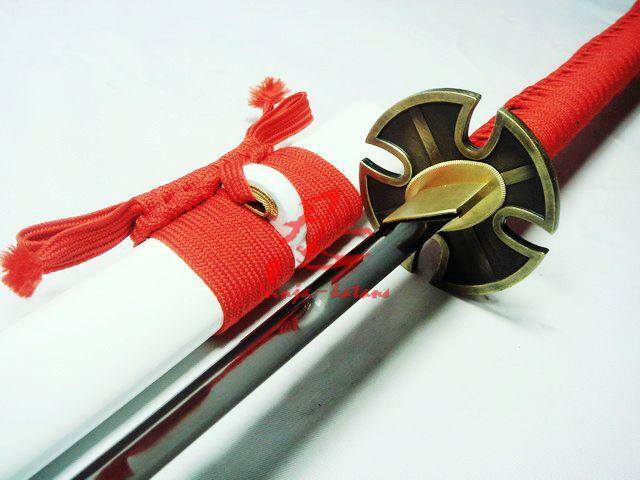 curved according to the sori.the koi-guchi(mouth piece),saya with kurikata and 2 shitodome to hold the obi. 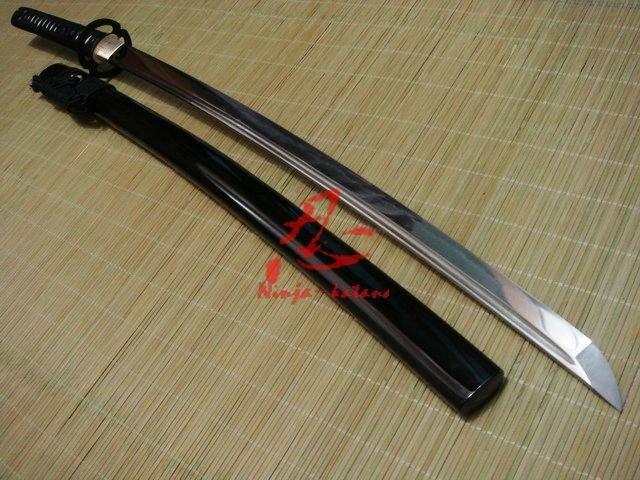 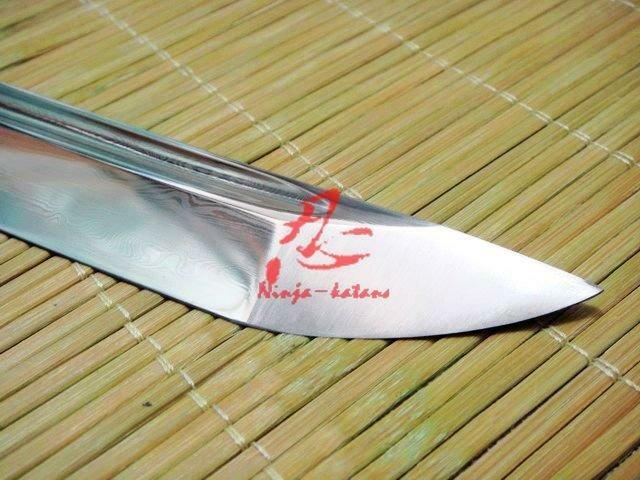 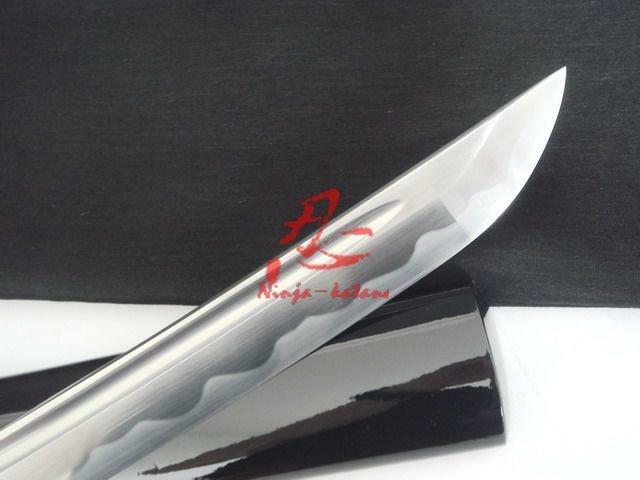 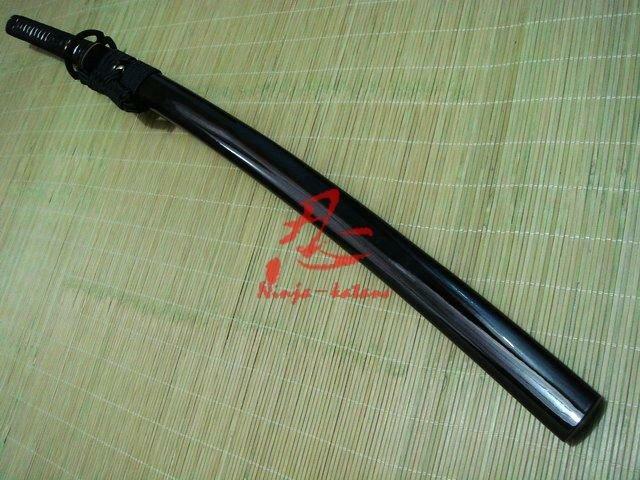 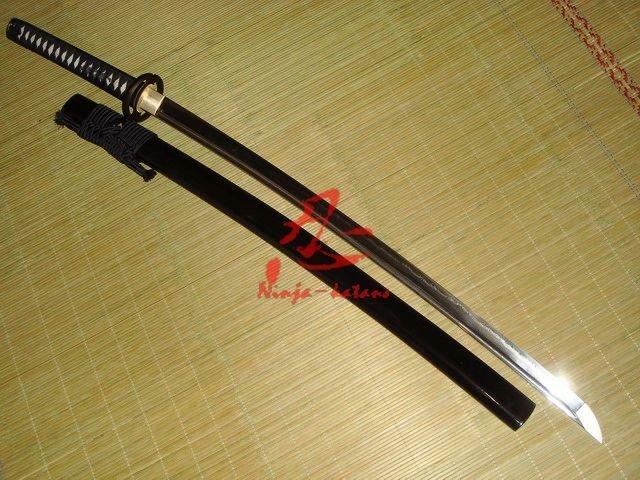 -blade: The musahi sword (st6301) is an amazing testament to the quality produced by st-sword. 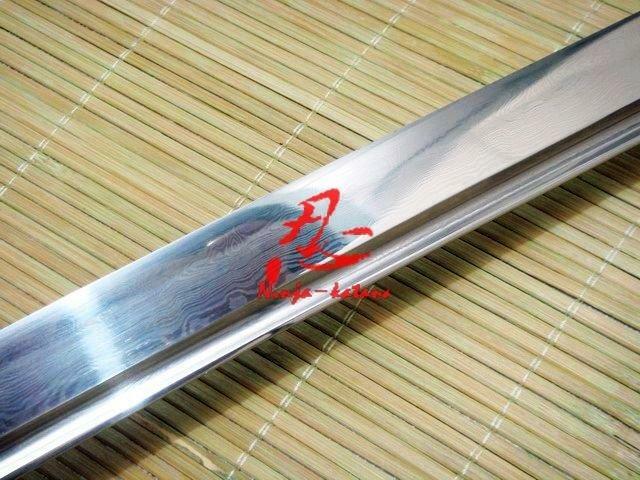 The blade is forged-folded 1095 high-carbon steel with grooves (bo-hi) on both sides of the blade, which allows for a lighter blade and audible feedback when swung. 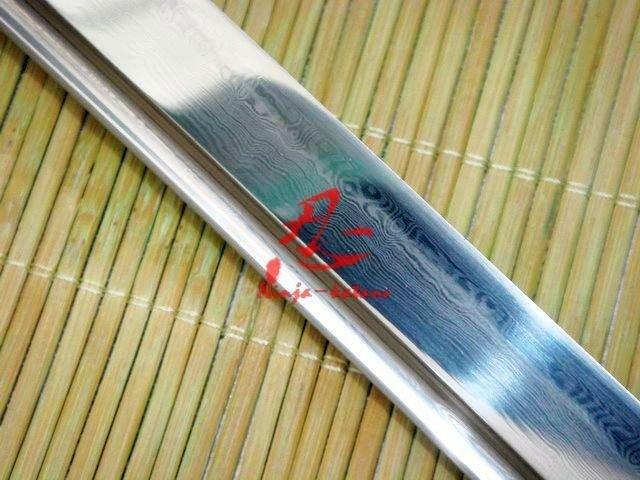 The blade is differentially tempered using a traditional claying method and has a beautiful grain pattern (hada) with visible layers. 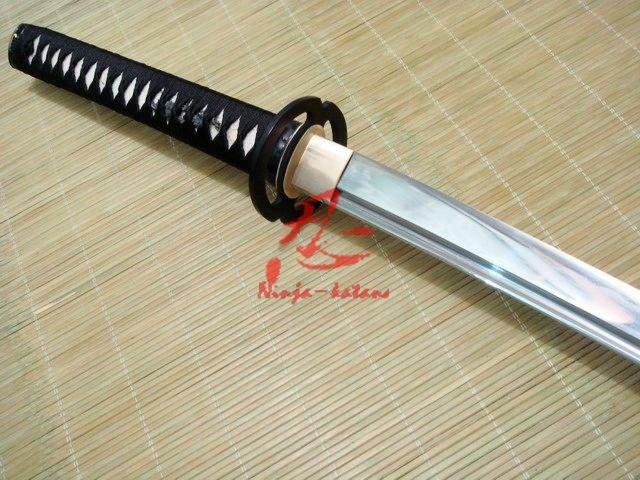 The sword has an edge capable of light target cutting. 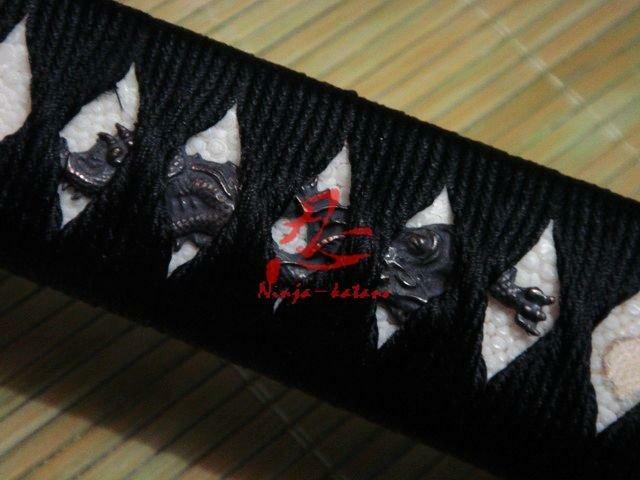 The tsuka is wrapped in white ray skin (samegawa) and the tsuka-ito is premium black silk. 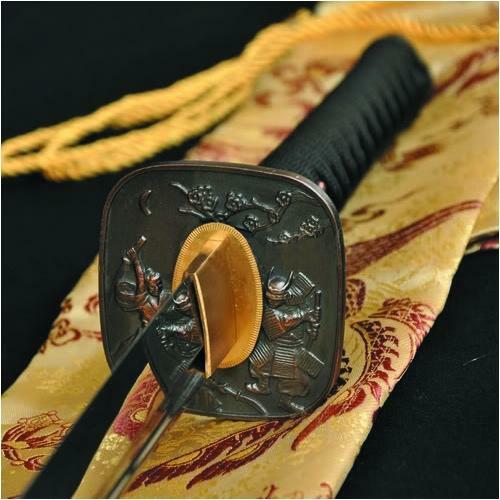 The iron tsuba, fuchi, & kashira are done in a “musashi”motif. 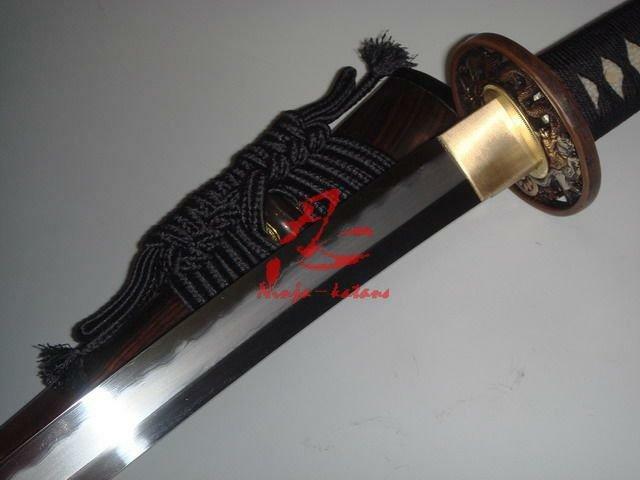 The habaki is a one-piece brass construction and handmade. 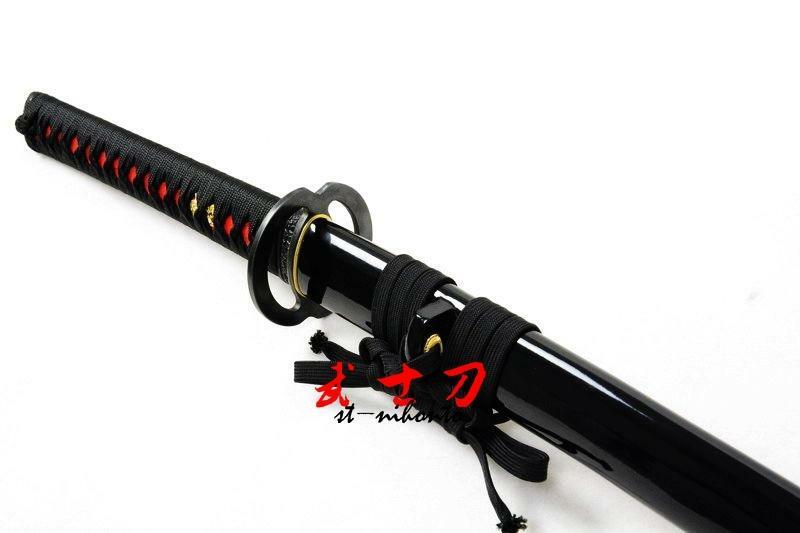 The saya is done in a beautiful black gloss finish going the whole length of the scabbard and the sageo is high quality silk. 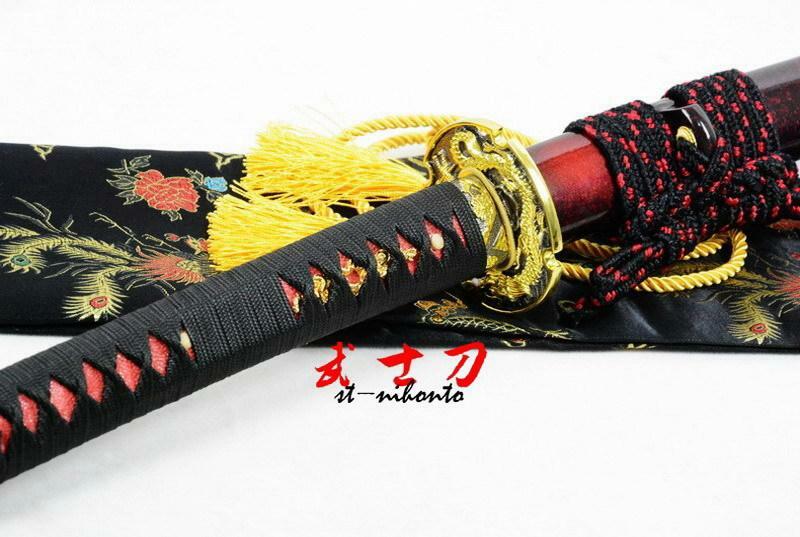 the sword Iaito represents the pinnacle of production quality for Iaito swords.You can see it is very detail and good quality, our exclusive item for sword.